Reading posts in RSS reader is one of the most convenient way to read our favorite blogs. Many of them don’t know that we can also subscribe YouTube videos in feed readers. Today in this post I will explain how we can subscribe any YouTube video channels on your favorite RSS readers. There are many reasons why you should use feed readers. For me I subscribe to many blogs and visiting all those blogs manually to check updates is not a convenient way. So instead I go through all my favorite blogs in one place with the help of feed readers. But when it comes to YouTube the reasons maybe somewhat different. 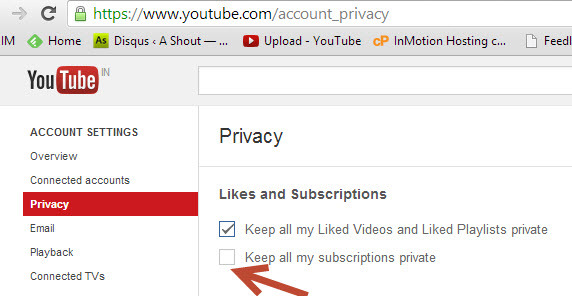 For example, instead of visiting YouTube you can check any updates in your feed reader itself or You don’t have an YouTube account to subscribe to YouTube channel or if you want privacy, then you can use RSS readers by this way you can hide the your details to channel owner or for any other reason you may need to subscribe to YouTube channel in RSS reader then follow this post. and Replace the USERNAME with your YouTube username. For me, My YouTube account is https://www.youtube.com/user/ashoutdotcom so my username is ashoutdotcom. If you want privacy, then you can subscribe to any of your favorite YouTube channels on RSS readers without actually subscribing to that channel on YouTube. To subscribe directly to YouTube channel in RSS reader add the below URL by replacing userID with actual channel name you to want to subscribe. For example, if you want to subscribe to Ashout.com YouTube channel then replace userID with ashoutdotcom. Now add the above URL to your RSS reader to start reading/watching latest uploads. That’s it. Now you can read or watch any users feed on your RSS reader without actually subscribing to their channel or user on your YouTube account. YouTube supports many different Feed types. You can check here for more details.